Before you fly to and from Russia with pets, take note of these rules and regulations. We all love our pets, and it’s heartbreaking to leave them when we go on vacation. While it would be nice to take them, it’s not always easy. Just imagine a dog, especially a big one, spending many hours flying from the U.S. to Russia, caged and without his owner. Who would want that? Certainly, there will be situations when taking a pet is necessary, such as when you move to another country. In that case, you’ll have to face the tribulations of traveling with pets. Therefore, make sure you familiarize yourself with all the rules and regulations needed to make the journey as smooth as possible. Proper documentation is crucial, and to enter any country you’ll need an international veterinary certificate and a certificate of vaccination against rabies, said Vladimir Starinsky, managing partner at the law firm, Starinsky, Korchago and Partners. The rabies shot should be done at least one month before departure because 30 days is the period after which the vaccination begins to take effect. Keep in mind that animals not yet four months old, such as puppies and kittens, are not allowed to travel due to the fact that vaccinations can only be administered no earlier than the age of two months. The rabies shot can be given at three months, but then you must keep in mind the obligatory month of quarantine. So, if you plan to bring a puppy home from Russia, wait until it’s safe for the pet to travel. If you plan to visit Russia with your dog or a cat, (not more than two), then you don’t need special permission from the Federal Service for Veterinary and Phytosanitary Monitoring (Rosselkhoznadzor). 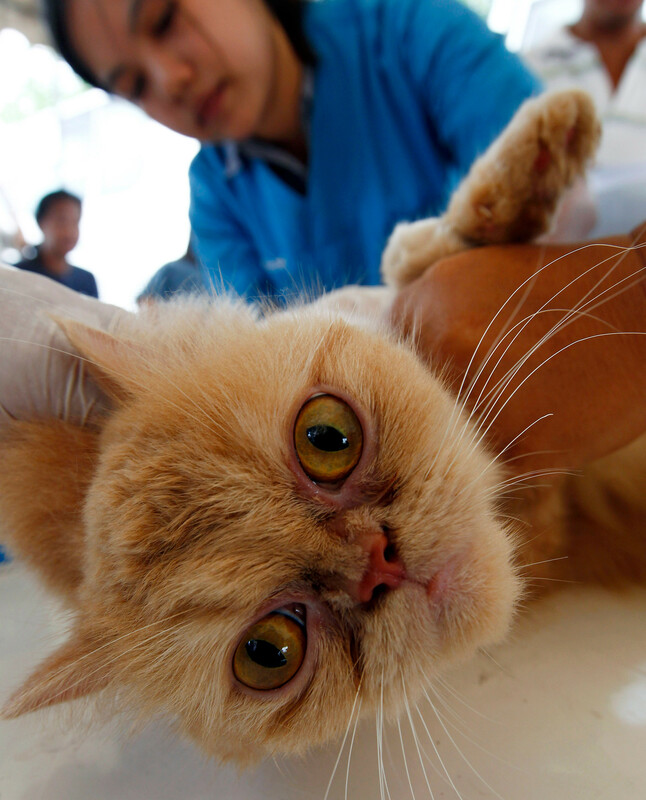 An international veterinary certificate will be enough to prove that your pet had a medical check-up at least five days before the trip, and that it had the following vaccinations in the last 12 months: rabies, plague, hepatitis, viral gastroenteritis, canine parvovirus and adenoviruses, as well as leptospirosis for dogs, and rabies and panleukopenia for cats. When leaving the country, no extra documentation is needed. A Rosselkhoznadzor permit is necessary only if animals leave Russia without their owner, or for commercial purposes. What is essential before leaving Russia is to check the requirements of the country you are traveling to. Some countries (for instance, the EU) require a pet to have a microchip with all relevant information about the owner and the pet. Others, such as Germany, do not allow aggressive dog breeds to travel, and some countries also have a quarantine period (up to four months) for animals that don’t meet the pet travel requirements (such as the UK). Check the rules in advance to avoid unpleasant surprises! There are regulations on how an animal can be transported. For example, cats should be carried in bags or boxes, while dogs should be in a box and wear a muzzle. 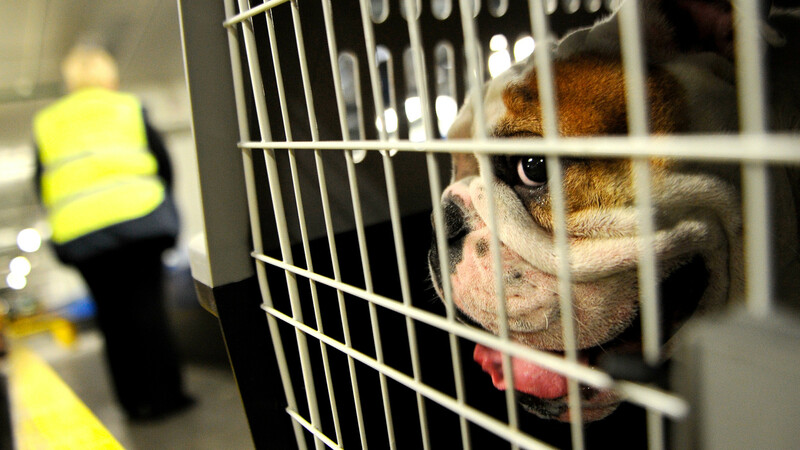 Whatever their size, dogs can travel by plane only in a cage with an absorbent bottom. It should be roomy, allowing the dog to sit, lie down, stand up freely and turn itself around. Every airline has its own requirements for travel with pets, and the rates, rules, and conditions of transportation vary. 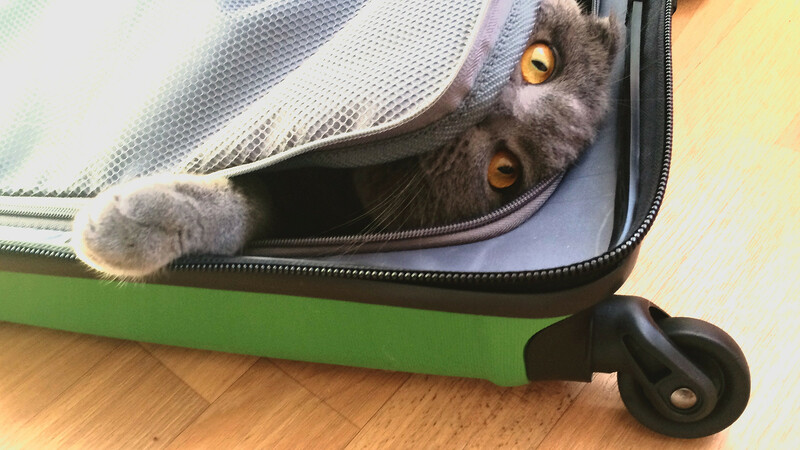 It’s better to check and warn the company in advance about your travel plans with a pet, ideally at the moment when booking your ticket. Before airport check-in, the animal should pass veterinary control to make sure it’s healthy and will not have a problem during the flight. In addition, the microchip must be verified. Representatives of Rosselkhoznadzor also might replace national veterinary certificates with international ones if necessary (for free). If there are no questions, then they’ll permit the pet to travel. At check-in, the pet will be weighed, and the owner will have to pay for its transportation according to the airline’s fees. Whether the pet travels with you in the cabin or in the baggage hold is up to the airline. Each company has its own rules, and some don’t allow animals in the cabin, while others allow only two pets of the same type, for example, two cats. Here you can check the requirements of major Russian airline companies: Aeroflot, S7 and Pobeda. Traveling by train doesn’t require veterinary permits, but it will incur extra costs. Russian Railways allows small pets in a bag or box to travel for a fee that ranges from 200 to 3,000 rubles ($3-$51) depending on the distance (check here). On the Sapsan high-speed train, there is a fixed rate for small pets - 400 rubles ($6.8) for economy class. If you plan to travel with a large dog (not more than two allowed), then you have two options: book a compartment, or travel in one of the vacant vestibules. Also, the dog should be accompanied and wear a muzzle. Guide dogs for those with vision impairment are the only exception, and they travel for free. How much do Russians spend on cats and dogs?